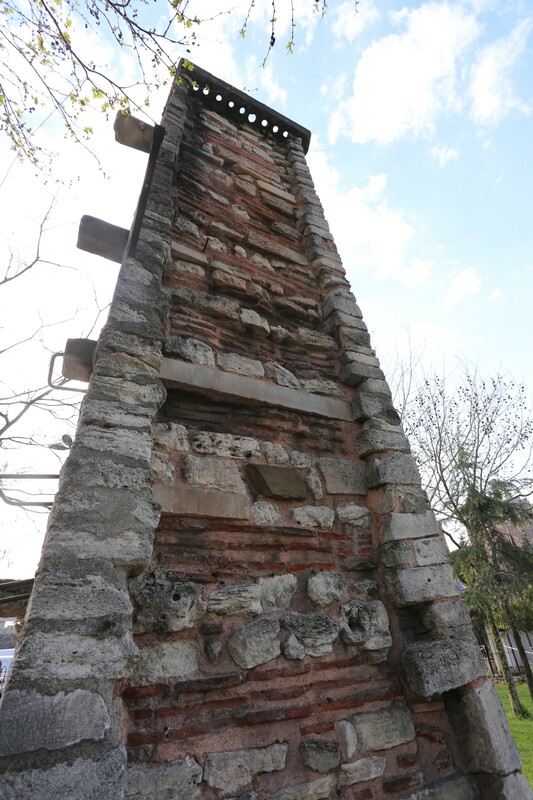 At the intersection of Ayvansaray and Hachu the Usra Park Yola (на карте) there is an acient construction of Ottoman's water supply system - Ayvansaray water column. 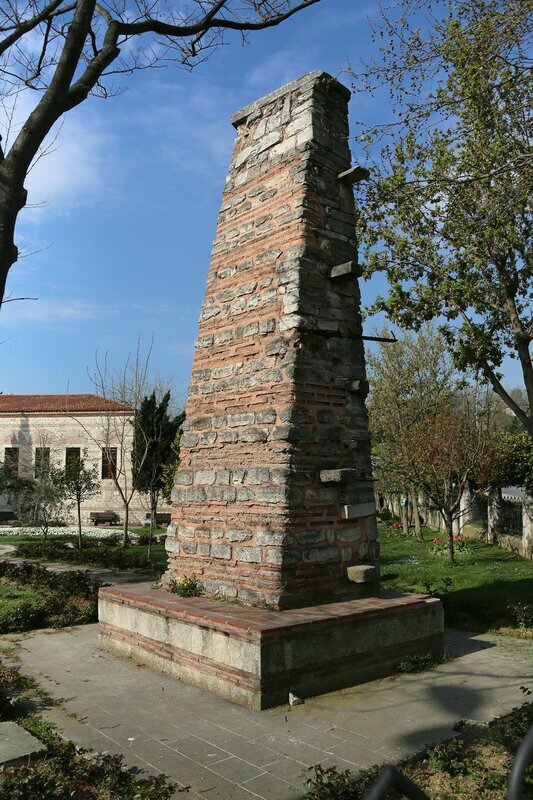 Water for urban needs was collected in huge underground tanks on high ground, from where through a network of clay pipes was down to the sources (fountains) in urban's blocks. Columns such as this served to control the head portion of the valve of the water supply - water under pressure coming up the channel inside the column and poured through the holes, arranged at different heights. Thus, excessive pressure was relieved, which prevented the rupture of pipes.